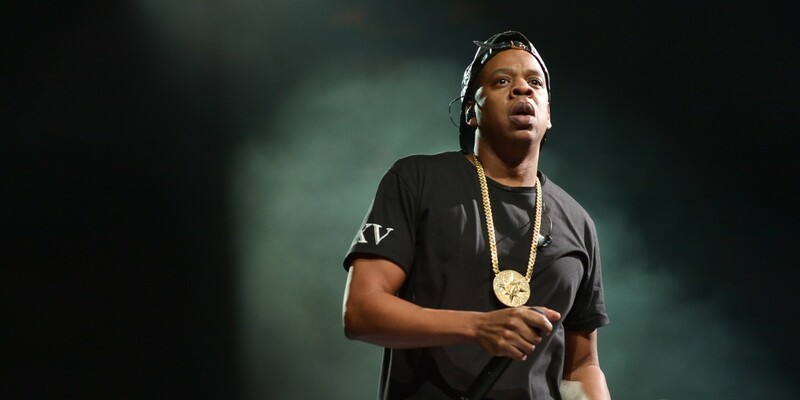 This past Monday, my twitter feed was dominated by three specific news items: Wrestlemania; the Walking Dead finale; and, Jay-Z and co. announcing a new music streaming service, Tidal. A competitor to Spotify, Tidal is supposed to represent a music service made and ownded by music makers/artists. 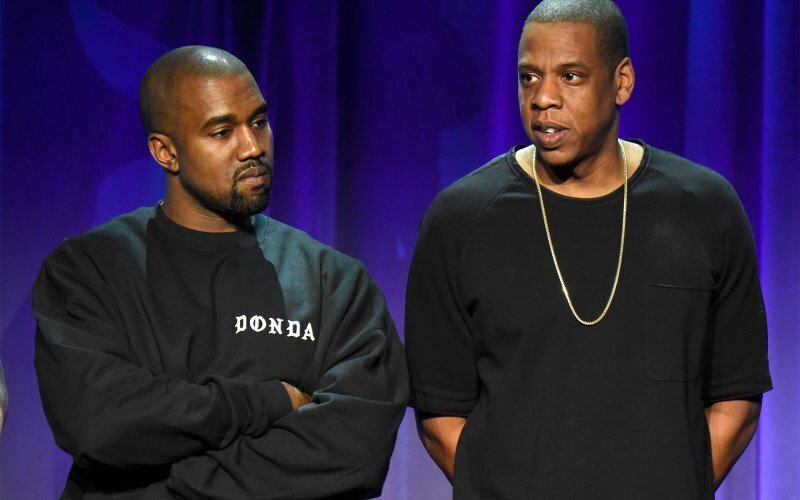 Removing the corporate middleman, Tidal argues that it benefits the creators rather than the shareholders. In principal, it is an ambitious and worthwhile proposal. Sadly, what Tidal is truly presenting to the world is significantly lesser than its utopian ideal. While not wholly outrageous, Tidal’s tiered pricing structure does reason to question its value over its biggest competitor. Spotify’s premium package, which removes ads and allows for the capacity to listen to music offline, costs $9.99/month. 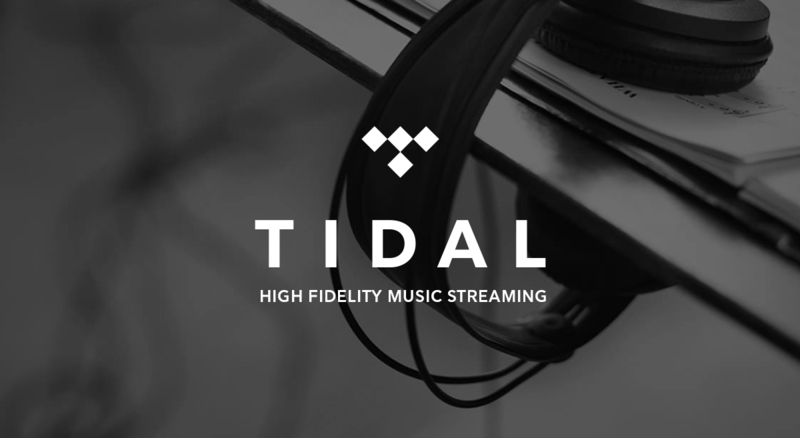 For a similar price, Tidal has a premium package that allows for ‘standard sound quality’ with no ads, as well as curated playlists and other editorial material. Basically it is the same package between services. For twice the price, $19.99/month, Tidal offers what they call the “HiFi” package, which enables users to listen to ‘Lossless High Fidelity” sound. This is basically a FLAC streaming service where the music is meant to sound less compressed, and therefore more in line with what the artists want it to sound like. Where the chink rests in Tidal’s tiered structure, well when compared to Spotify at least, is that there is no freemium package. Spotify allows for its users to listen to music on its service for no money down. The trade-off is that between every two or three songs you receive an ad (usually Spotify itself telling you to upgrade to premium). Now I pay for my Spotify premium package, but only recently. For many months, I listened to the service through its free model. And sure, there were enough times that the ads bugged me that they finally had me go Premium; but for many users who cannot afford (or simply do not want to pay) the ten dollars a month, the option still exists for them to use the on demand service with ease. In fact, of the service’s 60 million active users, only 15 million (or 20%) are actually paid subscribers. That means that very little of the company’s $2 billiion paid out to rights holders has come from paid subscriptions. In this regard, the market is clearly speaking and what they are asking for is free music with ads. 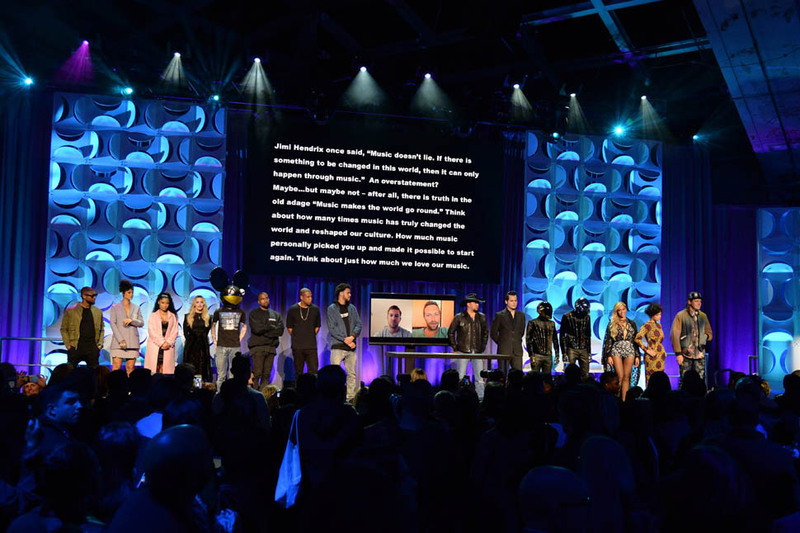 When Jay-Z brought all of his friends on stage (Alicia Keys, Win Butler and Regine Chassagne from Arcade Fire, Beyoncé, Calvin Harris, Chris Martin, Daft Punk, Deadmau5, Jack White, Jason Aldean, J Cole, Kanye West, Madonna, Nicki Minaj, Rihanna and Usher), it was proclaimed that each was a co-owner of Tidal. It was meant to be proof that the service was fighting against the establishment by being from the creators and not any corporate interest. There is a problem inherent in this logic however, primarily that all of these artists have become the new musical establishment. Sure acts like Arcade Fire continue to promote the notion that they are independent artists, yet that cred holds significantly less value when the artists are millionaires making cameos on Saturday Night Live. Do not get me wrong, there is hardly an artist on this list that I do not enjoy. That being said, the anti-establishment narrative Jay and Co. are telling the world seems slightly disingenuous. But more importantly, where does the bottom line rest with royalty delivery in comparison to Spotify. In truth, there is very little variability between the two services. The percentages are relatively the same when it comes to the premium user-bases on both services, meanwhile the HiFi package delivers double the royalty payout. That would be fine if it wasn’t for the fact that people are highly unlikely to payout for the high-tier service, as the previously mentioned Spotify user metric describes. The co-owners, however, will be receiving the higher bottom-line payouts as part of the membership. Some may take comfort that that money is going to some music creators, but truth be told these are the wealthiest of the wealthy as far as the music industry is concerned. When the return is the same to the average indie artist, issues of whether it is label holders getting rich or wealthy establishment musicians banking on the streaming service is probably of little concern. The main talking point, besides the whole ‘by the artists’ narrative is the high tier promotion of lossless audio. Tidal is arguing that for twenty dollars a month you are getting the purest sound streaming technology will allow. Here is the issue with this logic: when delivered through your average listeners speakers or ear buds, no one (with the exception of lucky guessers) will be able to determine which is the lossless quality experience and which is the standard 320 kbps that Spotify premium and Tidal Premium offer. For the true audiophiles, those that have the thousands of dollars+ setup at home or the top of the line headsets, perhaps this service will be of benefit. 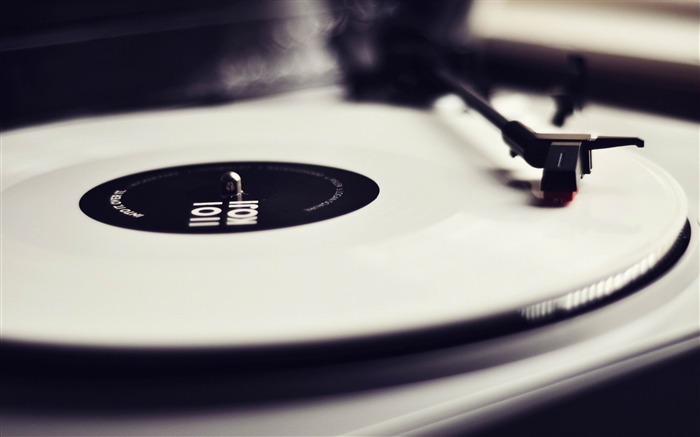 While the preference of lossless aficionados will always be vinyl prints, the capacity to stream limitless FLAC-like music for a monthly fee may be exactly what they want to hear. However, to everyone else, this is simply marketing speak. Some may buy into it, but few will actually derive any benefit whatsoever. My final issue is more hypothetical, that the service will potentially create a “walled garden” of content. With control from some of the most popular and successful artists working today, if there is a lack of initial subscriptions within the service, the greatest ammunition at their disposal is to distribute specific songs exclusively. Exclusive song deals already exist with deluxe album editions coming to specific retail outlets, so why not digital streaming? This is entirely based on skepticism and cynicism, I realize, but a lot of big names have put themselves and their reputations out there with this service, and if 3 months from now things are not looking rosy, it is entirely reasonable that co-owners of the service will hold back content from other services in an effort to create mind-share around their own. It may not even take that long. Kanye West is expected to drop a new album any week now. How fitting that he is now part owner of a music streaming service. It would be a wonderful opportunity to suggest subscribing to the service to receive a few extra tracks on his new album – much like he and Jay-Z did with Watch the Throne and Best Buy. These are just a few of my initial reactions to Monday’s announcement. It is possible that I am over-reaching with my cynicism here toward Tidal, yet to see so much ego in a presentation for a service that delivers very little new and actually risks hurting users of other services, I have yet to see the positives in this endeavour. Maybe in a few months’ time Tidal will prove itself to be a new and valuable player in the music streaming business, but for now I am taking a wait and see approach and will continue with Spotify. Prove me wrong Hova!